My Setup CRAFTS look like this below, it has five growbed with two return and a single feeder tank in the center. After running this setup for few month I realize that the feeder tank is too small for five growbed operation. 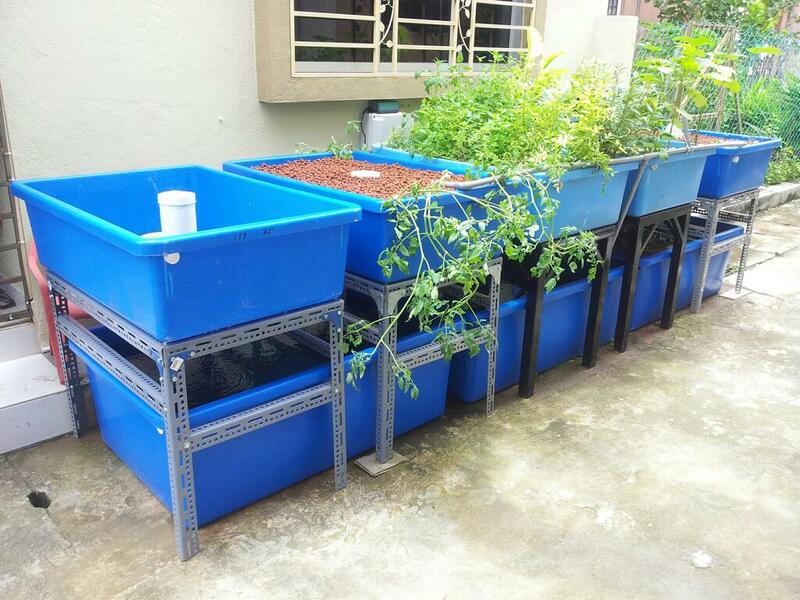 Four growbed is okay but with five water can be seriously low if not top up during this hot spell. 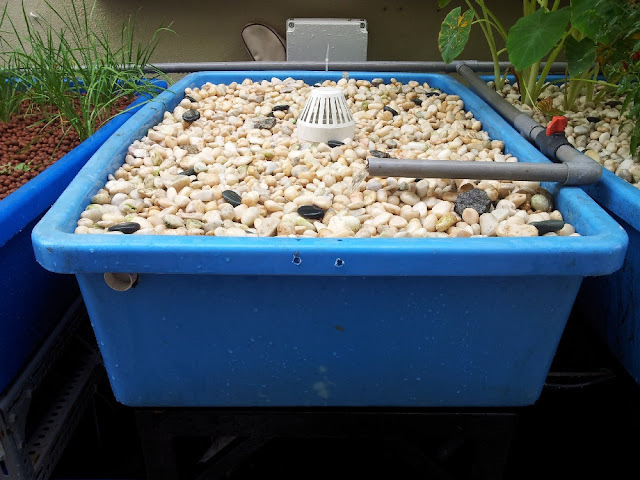 To ensure that system not compromise I had to reduce the number of growbed by one, so that water will be sufficient from that single 100 gallon Feeder Tank. 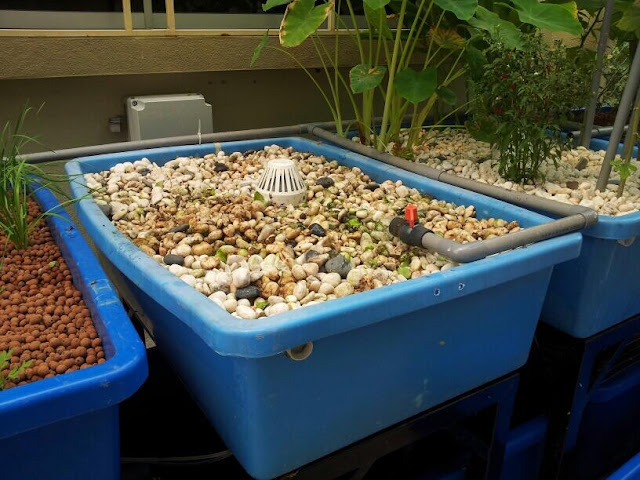 In CRAFTS installation useable water volume is dependent on size of Feeder Tank, the bigger this tank the more water will be available and more growbed can be use. The Return Tank since it is constant level does not contribute to useable volume, it only allow more fish to be kept in a setup. 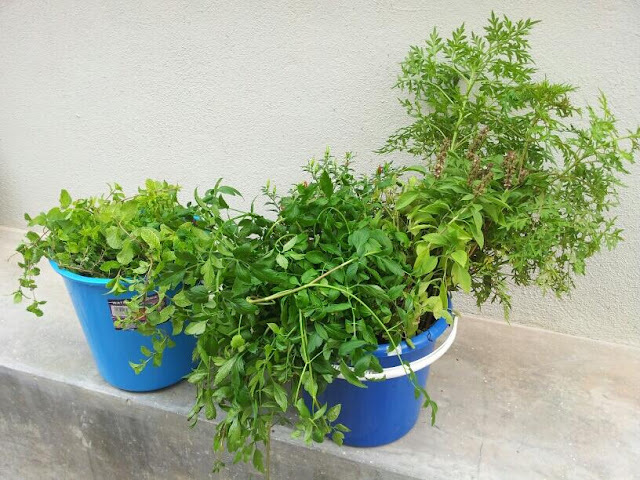 Removing one growbed will reduce the amount of plants that I can grow and also reduce the biofilteration of my setup. I decide to make one growbed into Continuous Flow growbed. Continuous Flow is actually DWC with a media filled growbed. 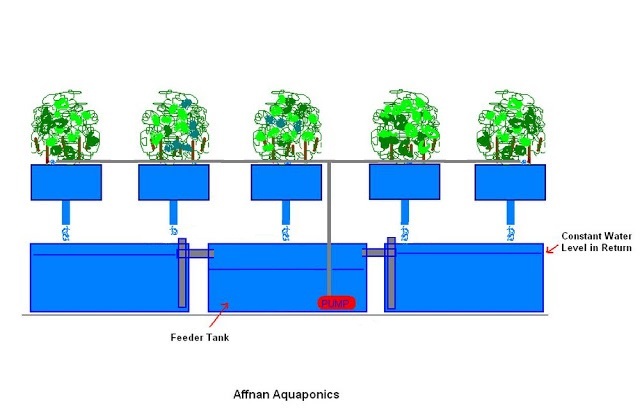 This approach, since water is always same level in this growbed it will not be counted as water that being use from the Feeder Tank but as part of the Feeder Tank itself. 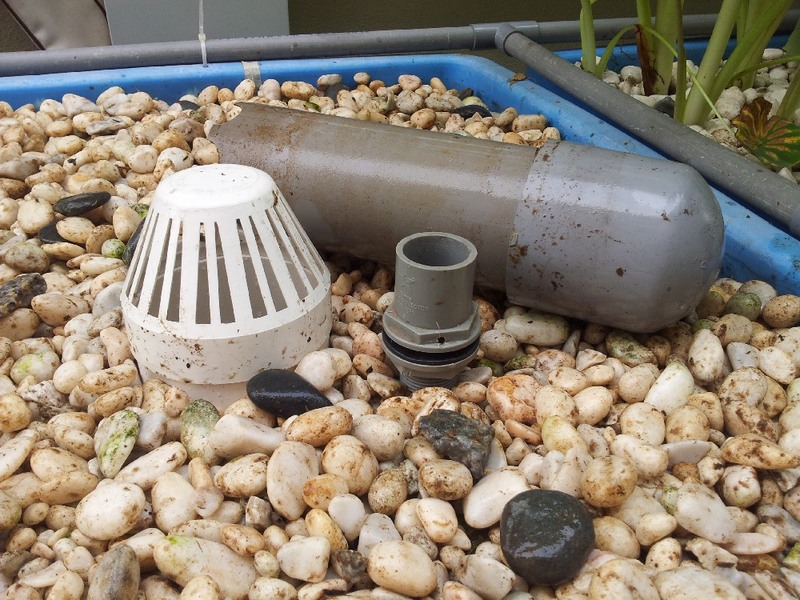 All plants removed from center growbed, I need to replace the standpipe with the one without a leak hole. All pebbles has to be removed too. 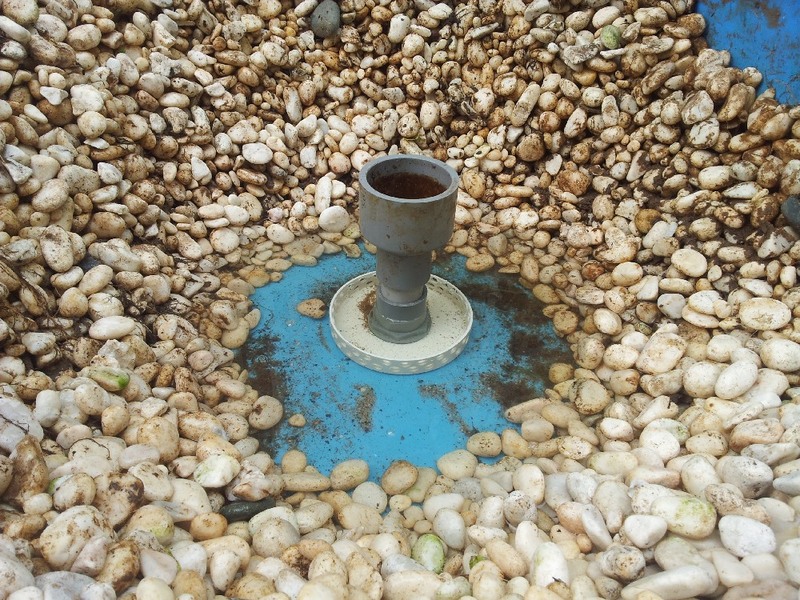 Once converted to continuous flood, not all plants can tolerate their roots submerge in water. So some of these plants above may not survive some will. Old siphon removed, will install siphon without a leak hole. Continuous flood just requires the bell removed to do the overflow. 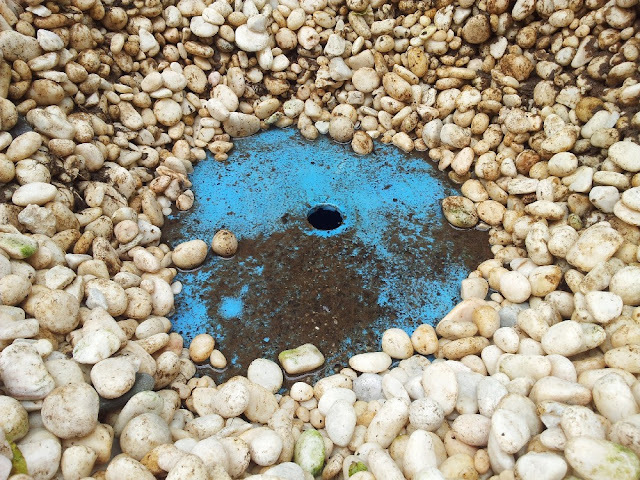 Strainer holder and stand pipe in, next to put strainer and all the pebbles back in. Done, these two are the only parts affected. The tank fitting replace with no leak hole (above photo the one with leak hole) and siphon bell not needed. However occasionally it's best to place the bell in to do few flush so that we get good water flushing preventing anaerobic buildup. Water level shown from top. Completed growbed above, will start planting next. Water always at top of stand pipe in this growbed and it will not take up water volume from Feeder Tank but act as reservoir. Great now I can try continuous flood growbed. You may have answered my questions elsewhere but I did not find the answer. Because you discovered that the 100 gal feed tank can only support 4 grow beds, what do you suggest as a rule of thumb for feed tank to grow bed relationship? I am designing a system that will have different sizes of tanks and beds than what you are using so knowing the ratio would assist in the design. BTW, thank you for this site, it is very helpful and inspires me to get my system design completed and operational. My fish tanks is 100 gallon each and the grow bed is roughly 30 gal each, Since the safe value is four 30 gallon growbed for each 100 gallon tank. It will be 100 : (4x30) about 100:120 roughly 1:1.2 its about 1:1 as a safe extreme value. You will need to find the volume of each individual growbed to be safe. Each of my growbed takes about 15 ~ 20 gallon of water, that's why initially I use 5 growbed. But the present hot weather causes too often water top up making it unsafe. To make it easier, I don't takes the actual volume use but use the container volume to be of the safe side. So its 100 gallon of fish water its 100 gallon of growbed. However this method of calculation is for feeder tank, water can drop drastically about 8 to 10 inches in its height making rearing fish in this tank not advisable. I only use this thank for smaller fish to control mosquito. I am taking it very extreme, if you have fish together in the tank for rearing I would recommend 2:1 Fish Tank to Growbed Ratio, that means for every 100 gallon fish water you have 50 gallon of growbed volume. Thank you so much for writing in a way a beginner can understand. I searched all over the net, and I still did not quite understand. Then I found your blog. Now I get it ! We have a pond filled with catfish,and I feel confident that I can add-on a nice aquaponics system to it..thank you for your help. 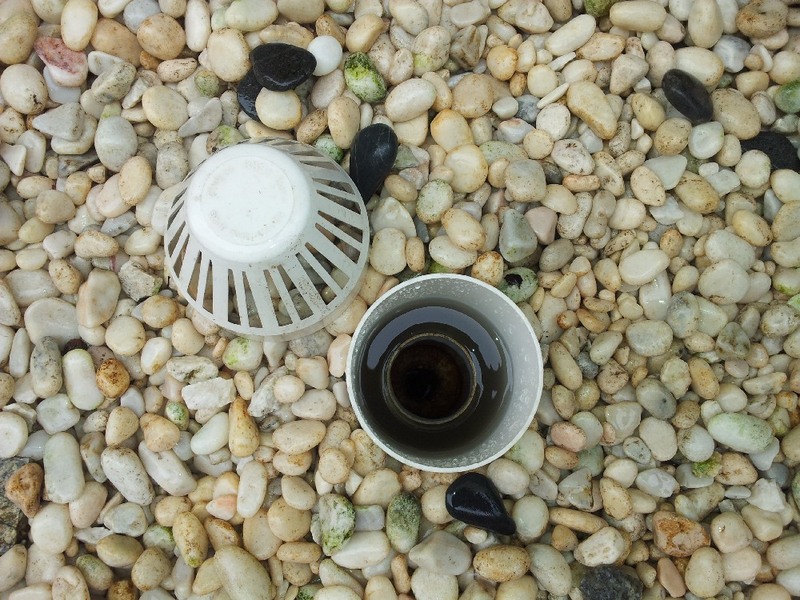 would like to hear this too, there is general consensus that bell siphon / drain & fill is better for the plants? Yet others say there is no difference. If that's the case interesting people spend so much effort with the bell siphon when you could just cut a hole at the fill height and drain to fish tank below.